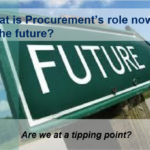 November 9, 2016 – Russ Steward – What is Procurement’s role now & in the future? Speaker: Russ Stewart; Senior Vice President & Chief Procurement Officer for Brambles, Ltd.
Time: Cocktail hour will be from 5:30 – 6:30pm. Light appetizers will be served and a cash bar will be available. The presentation will begin at 6:45pm. CEH: One (1) credit hour will be achieved for attending this event. Speaker Biography: Russ Stewart is Senior Vice President & Chief Procurement Officer of Brambles Ltd, a leading global supply chain logistics company headquartered in Sydney, Australia. In this role, Mr. Stewart provides strategic leadership for the purchasing and sourcing activities of over $3 billion in spending for the global Brambles company. Under his leadership, the global procurement team is developing world class sourcing strategies and strategic supplier relationships to drive cost structure transformation in order to enable Brambles to reinvest into business growth. His organization serves as a global network that includes over 14,000 associates in 53 countries with over 15k suppliers. Prior to joining Brambles in June 2016, Mr. Stewart was the Chief Procurement Officer for Mars Petcare, one of the largest petcare businesses in North America, and one of the largest business units within Mars Incorporated. During his six year tenure, Mr. Stewart was able to create a world class procurement organization as recognized by outside experts. Prior to that, Mr. Stewart held various procurement positions of increasing responsibility at P&G. During his almost 20 year tenure with P&G, he bought and led organizations that sourced direct materials and indirect services while based in the US, China, and Japan. Mr. Stewart was the Purchases lead that shaped & executed P&G’s strategy on business process outsourcing that won external industry awards. Prior to P&G, he spent five years as an officer in the U.S. Army.